Alexia Tarabotti, Lady Maccon, has settled into domestic bliss. Of course, being Alexia, such bliss involves integrating werewolves into London High society, living in a vampire’s second best closet, and coping with a precocious toddler who is prone to turning supernatural willy-nilly. Even Ivy Tunstell’s acting troupe’s latest play, disastrous to say the least, cannot put a damper on Alexia’s enjoyment of her new London lifestyle. Until, that is, she receives a summons from Alexandria that cannot be ignored. With husband, child, and Tunstells in tow, Alexia boards a steamer to cross the Mediterranean. 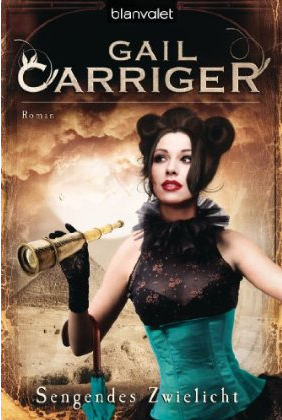 But Egypt may hold more mysteries than even the indomitable Lady Maccon can handle. What does the vampire Queen of the Alexandria Hive really want from her? Why is the God-Breaker Plague suddenly expanding? And how has Ivy suddenly become the most popular actress in all the British Empire? 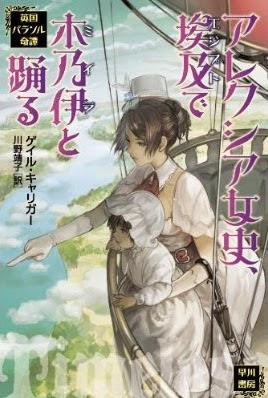 This is the exciting and hilarious conclusion to the Parasol Protectorate series. 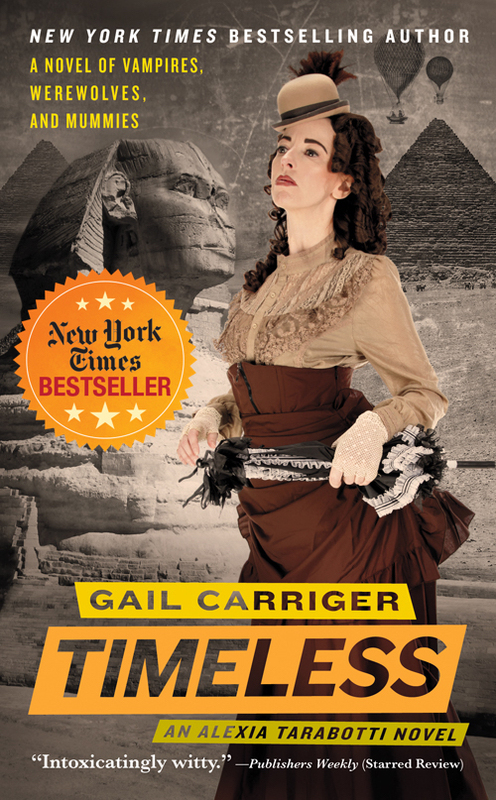 Timeless was a New York Times, Locus, and Publishers Weekly bestseller; was a Los Angeles Public Library Best Book of 2012; won the 2013 Prix Julia Verlanger Award(2013); and the Parasol Protectorate Omnibus Volume Two was selected as a Best Book of the Year, by the Science Fiction Book Club.